Between 1991-5, a survey of the lichens growing in the Old Churchyard was conducted by the British Lichen Society. A total of 86 different types were recorded. The database of the types is reproduced here by the kind permission of the British Lichen Society. Records from Don Smith's database but shows recorders as Norman & Florence Hammond and N. Barker. Use the search facility to search the 217 headstones and memorials by keyword or phrase with photographs and full inscriptions available to view. 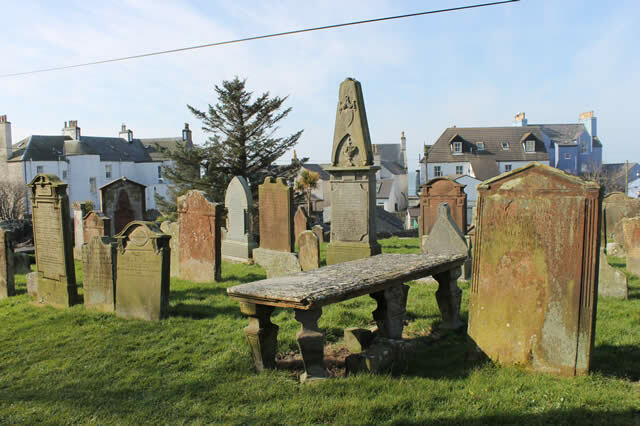 Use the interactive plan to quickly view headstone locations, inscriptions and photographs or use the search facility, located at the top of the page, to search by keyword or phrase. 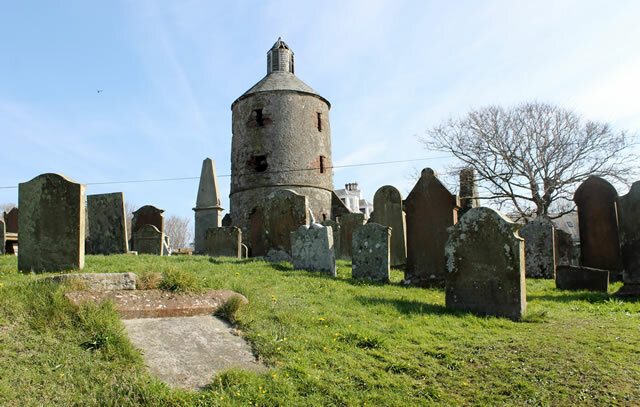 Portpatrick old parish church was built in 1628-29 and continued in use until 1842. The adjacent graveyard continued to be used for burial until the later 19th century.